Morning playtime is in full swing! 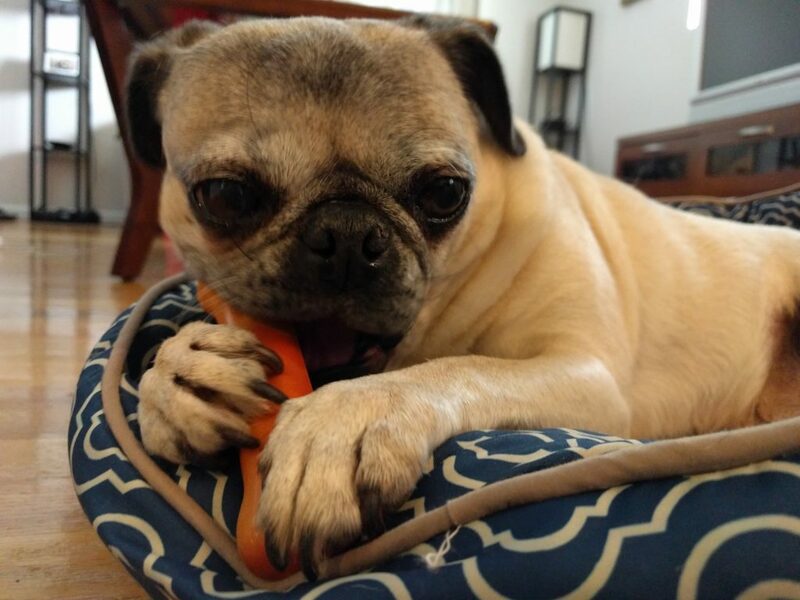 Nickie the pug is usually most active in the morning right after breakfast (and before her morning nap). This morning, she’s looking super cute while having fun playing with one of her favorite chew toys!